We understand that improving outcomes from cardiac arrest is in your hands. And we know it takes more than just a shock to increase survival rates from sudden cardiac arrest (SCA). 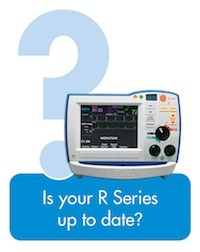 That’s why we’ve designed our R Series® monitor/defibrillators with easy-to-use technologies to help you consistently deliver high-quality CPR, provide optimal defibrillation and pacing treatments for all your patients, and manage your data to address critical quality improvements.